1. What is Included in a Quest Tour? We Provide You With Personal Coaching, training, and resources to maximize your chances for success when you go to Colombia in search of your life-partner. Deliver a unique mix of Group Speed Dating Events designed to eliminate every barrier and help you connect with an abundance of beautiful, eligible, ladies in Colombia. Whether you are shy or outgoing, we create comfortable ways for people to meet, interact, and enjoy getting to know each other. We provide comfortable dinners, introduction events, a prom night event, and more. Hotel with Breakfast and WiFi. Comfortable rooms located near the city centers. Start every day by hanging out with the guys for breakfast, if you chose. Keep in touch back home through the internet and Skype calls (ask us how). Assign You a Personal Translator / Assistant while you are in Colombia. She will be your translator, date coordinator, as well as your friend and advocate. Your translator will be your shield and guide and B.S. detector. Hand You Your Own Personal In-Country Cell Phone pre-programmed with your translator’s number and your guide’s local number. You’ll take this phone home with you so you can use it again when you come back to spend more time with others you meet on the tour. We pick you up at the airport. You’re never alone! We pick you up at the airport and then all ride together to our base hotel in a modern and comfortable bus. Support You After You’ve Found Her through the visa process and adjustments to life at your home. We will connect you with visa attorneys and more to help you succeed with the woman of your dreams. And, you get all this for about the same price as old school romance tours but with the highest success rate of any of them! 2. 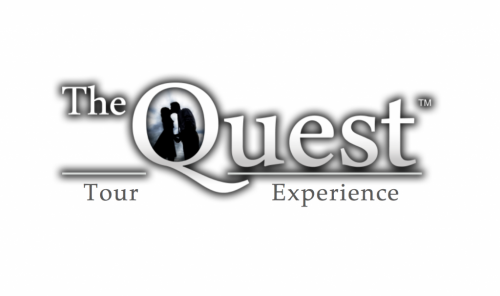 What Does a Quest Tour Cost? Now you know what you can expect from your experience in Colombia with Dream Connections. It’s $4,950.00 one-time – or 3 easy payments of $1,700.00! 4. How Do I Pay for My Quest Tour Experience? Payment plans are set up to automatically deduct monthly. Tours must be paid in full 30-days prior to departure. See the bottom of this page for full terms. Call today if you have any questions! She’s waiting to meet the man of action who will go! 5. What are the Next Tour Dates? Everyone begins by completing the New Client Intake form (just send an email to Mark@DreamConnections.com and ask for one). From there we’ll set up a time for you to talk over Skype and come up with the right game plan for you. We do all of this before asking you for any money so you’ll feel good about the plan we can develop with you before you make that investment in your program. We will help you prepare your profile and present it to prospective ladies in Colombia. In addition to the women on our public site, we have others we may feel would be good to introduce you to. When you arrive we will provide you with a list of the ladies who will be attending our Group Speed Dating Events. We make no guarantees about advanced date arrangements. The list of ladies who you will meet along with their photos is part of the Welcome Kit that you’ll receive when you arrive. The purpose of the online database of ladies’ profiles is to assist in deciding who we invite to the events for the clients to meet. We will ask you to provide a list of 20 ladies’ profiles that you feel represent your desired life-partner. These are real women and we strive to show them courtesy, respect, and appreciating for being part of Dream Connections. In our interview with you we will discuss why you selected the ones you did to learn more about the type of lady you are hoping to meet. From that conversation, we may contact a few or all of the ladies on your list and notify them of your interest in meeting them at one of the Group Speed Dating Events. We still believe that face-to-face meetings are best and do not encourage or facilitate advance communication. We make no declarations as to the status of the ladies represented on the site because they may have found a boyfriend between the time we first added them and your tour date. We would learn of this when we contact them just prior to your Quest Tour and they would not be invited and the profile would be marked “inactive” and not displayed on the site. A main purpose the profiles serve is to learn about the type of lady you wish to meet. We contact ladies when a client has requested to meet them within a few weeks of the tour date. However, you will see from the photos of our past Quest Tours that many of the ladies on the site do attend the events and clients do get to meet many of them. The real screening process of the ladies takes place within a few weeks of the client’s arrival because that’s when it actually matters. Our success with this system speaks for itself. If there is a profile that you are fixated with then please let us know and we will make every reasonable effort to arrange a date for you with that specific lady outside of the Group Speed Dating Events. Included in the tour are several scheduled events; traditional Ukrainian Dinner where you are introduced to your translators, two Group Speed Dating events, and the finale event at the end of the week. The costs for the use of the facilities, your translator, and unlimited ladies dates are included in the 8-day package. Food is provided at the arrival dinner, Group Speed Dating events, and finale event. Alcohol is not included. All of the men stay together at the same hotel. It will be located near the city center to make dating options easily accessible – within walking distance in most instances. The hotels we use provide a simple breakfast and internet access. We provide round trip ground transportation from the airport to the hotel, the organized events, and back to the airport on the last day of the Quest Tour. If you elect to stay longer then we will help arrange your extended stay at the hotel and taxi transportation, but those extra days and taxi rides are not included in the price for the tour. Taxi services you may request during the week for your dates are readily available and cheap. Your translator/guide will help coordinate any private transportation you might need on your own outside of the organized events. We do not provide air transportation because it adds little value to the goal of finding a spouse and can cause complications. We understand that other organizations purchase these round trips tickets from JFK , but then you have to purchase travel to arrive and coordinate with that flight. Should you meet someone and decide to stay longer it creates complications with your connecting flights. Finally, we have clients who don’t need this “included” flight at all since they live in Australia or Europe. 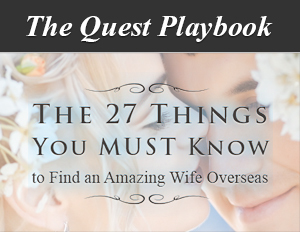 What we do instead is put that money to work toward the things that will help you find a spouse – such as more events, different types of events, cell phone, plus, and a first ever, your own dedicated translator who will help you every step of the way. This also allows you to expand your dating prospects to include more than just English-only speaking women. That JFK thing is not money well spent if the goal is a life-partner. When making your flight arrangements, the destination airport is Medellin, Colombia. The airport code is MDE. You will have a translator/guide assigned to you. She is hired by Dream Connections to work with you from the Friday night dinner through your entire Quest Tour experience. If there are times when you don’t have a date you may wish to have her show you more of the town so you become even more familiar with the city. Please tip your translators at the end of the week if they provided excellent service for you. Men in the past have paid from $50 to $200 tips. If you want to hire your translator to help you continue your relationship with your new-found love, they are certainly available and will work out the rates with you based on your needs after your Quest Tour. Expert matchmaking help is available around the clock during your tour. Whether it’s Mark Davis, Anna Davis, Law Jackson or others; you will have access to expert feedback on your dating experiences in real time. Upon receipt of the first $497 deposit you will be sent the blank profile form for you to complete and return along with 5 current photos. The first $497 is not-refundable, but any other money paid toward a specific trip will be refunded upon written request if made 30-Days prior to departure. Refund requests made within 20 to 30 days of departure will be accepted less $950. Tour costs are non-refundable 19 days or less from the start date of the tour. Confirmation of acceptance of refund requests will be provided by email and refunds are mailed by check. Expect refunds to be received approximately 30-days after approval. If you have participated as a full-price paid customer on a previous Quest Tour or Individual Quest Tour you will be eligible for a $300 discount on any subsequent trips you would like to take with Dream Connections. If you refer-a-friend to Dream Connections and they become a Quest Tour client then we will send you $300 upon their successful return from that fully paid/full-price trip. Dream Connections accepts no other liabilities other than to deliver the services indicated above and no monetary liability beyond the actual amounts received by DC from the individual client.